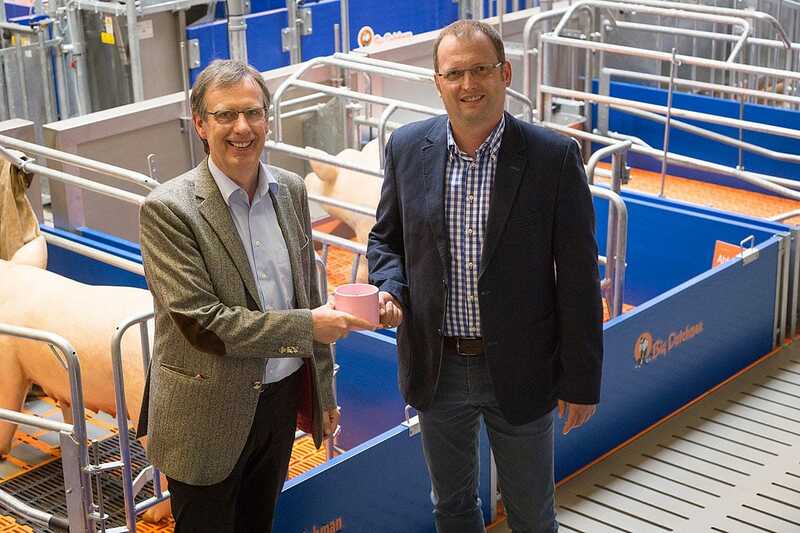 GERMANY - The successful piglet feeding system CulinaCupLine, devised by the feed producer Bröring from Dinklage, Germany, will be distributed and developed by the world market leader for piglet equipment, Big Dutchman, in future. The two companies agreed on an extensive cooperation regarding the development and distribution of systems for the feeding of suckling pigs. The collaboration is in full swing already: “We will present an automated system with different dispensing techniques at EuroTier in November,” says Magnus Westerkamp, Head of the Business Unit Pig at Big Dutchman and thus responsible for global product development. Both companies believe that their cooperation will make their access to the market even more direct and furthermore hope to gain the interest of new international customers with their products. The collaboration is a new chapter in the story of success of CulinaCupLine. The project was started eight years ago. Time and again, the BRÖRING group’s specialists for sows and piglets were confronted with issues in sow management caused by very large litters. The farmers’ specific requirements led to the development of new feed products and new technical possibilities. Combining technology and piglet feed opened up new chances for animal welfare and health as well as business. Over the years, a system with special, patent-pending feeding cups (CulinaCups) was developed and enhanced. Farmers can use this system to supply piglets from large litters with milk replacers and liquid prestarters with very little effort. Smaller and weaker piglets especially benefit from this type of feeding. The cooperation allows both companies to concentrate on their core business. Big Dutchman will further develop the feeding technology while Bröring will provide fitting feeding concepts and management ideas for the farmers. “We are permanently working on advancing integrated feeding and management concepts and are planning to introduce to the market a new Culina product for optimised piglet rearing at EuroTier. Both performance and animal health in our customers’ pig houses can be further improved with our ideas,” says Björn Markus, responsible for the Pig division at BRÖRING.